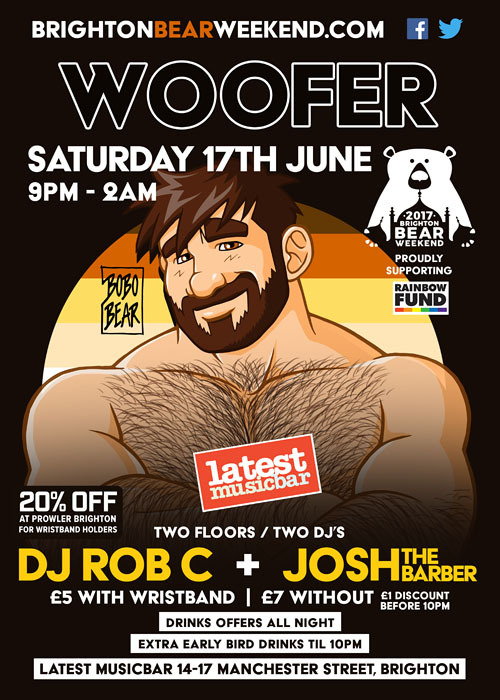 Our big Woofer club night on Saturday 17 June (9:00pm-2:00am) will feature two great DJs, Rob C and Josh the Barber, on two floors at Latest Music Bar. As everyone who was there last year will remember, Josh the Barber brought the house (well, the lower floor, where he performed!) 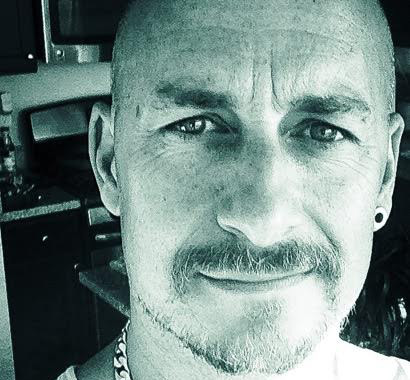 down and is set to do the same again this year with his fresh combination of funky and vocal house and his dazzling video backdrop. Of course, you will get £2 off entry for this event, as well as great drink offers, with a Brighton Bear Weekend wristband! Josh and the rest of the bears hope to see you there! 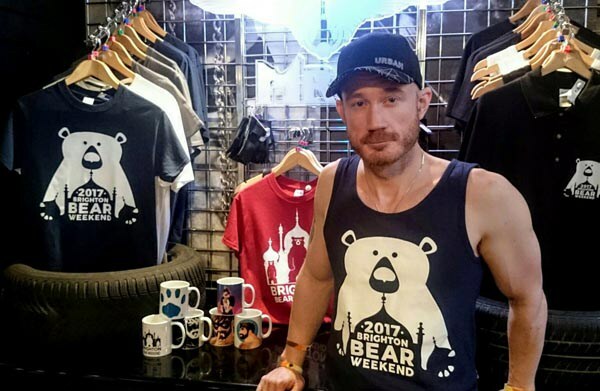 Brighton Bear Weekend 2017 will kick off on Thursday 15 June (see the programme of events) – it’s fast approaching! 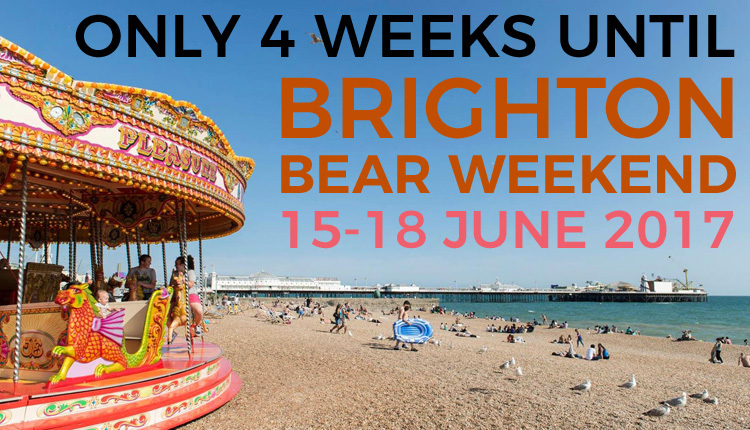 We hope you can come and join us for a fantastic weekend with the bears by the beach. Wristbands are optional for the weekend, but at only £6 they will quickly save you loads with amazing drinks deals, discounts on club entry, and other great offers. They are currently on sale at the Camelford Arms, Subline and Prowler (112-113 St. James’s Street) in Brighton, and also in our online shop. To help plan your trip, check out our pages of travel and accommodation information. Also, be sure to follow us on Facebook and Twitter for the latest updates in real time!